It has been forever since we posted a new recipe. We’re still cookin’ and cleanin’ over here, but writing and photographing has taken a back seat. Sorry about that! So what has pulled me back in – – these delightfully easy and delicious ribs! I’ve made these twice now, from an ingredient list scribbled on a Post-It note. In the interest of preserving this recipe, I thought I better add it to my portable recipe file (a.k.a. SheCooksHeCleans). These ribs are very flavorful, with tamari, garlic, ginger and a touch of sweetness from the coconut palm sugar. Best of all, they are quick to make (aside from the marinating time). The first time I cooked these, it was dark outside and I thought it would be a good idea to fire up the gas grill that is on the indoor range. Even with a ventilation hood that vents outside, the whole house filled with smoke. I was smarter the second time and grilled them outside in the Big Green Egg, which was immensely more popular with Mr. He Cleans. Be sure to get flanken style short ribs, which are cut thinly across several bones. These will cook quickly (about 3 minutes per side) over high heat. Mix ingredients in a small food processor or blender. Pour marinade over ribs in a re-closable bag or marinating dish. Marinate for at least 8 hours (overnight would be better). Turn ribs occasionally in the marinade so that they are evenly coated. Set up a grill for direct, high heat cooking. Remove ribs from marinade, and grill for approximately 3 minutes per side until ribs are browned. Serve them up and enjoy! Photo: Grilled Korean Beef Ribs served with stir-fried sugar snap peas, shiitake mushrooms, and roasted sweet peppers. We’re back baby! 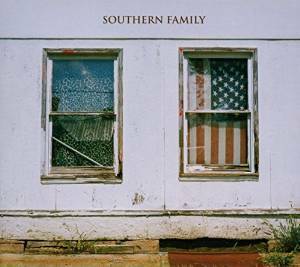 Just got this new record from ace producer Dave Cobb, Southern Family. All-star country artists look at the modern southern family, including Jason Isbell, Chris Stapleton, Zac Brown and more. It reminds you of the great days of ’70s country and Delaney and Bonnie. Great stuff! 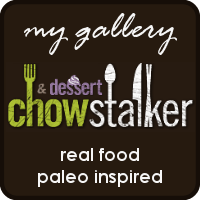 This entry was posted on March 22, 2016 by She cooks...He cleans in Beef, Entrees, Marinades, Sauces, Marinades, and Rubs and tagged asian, beef, BGE, big green egg, dinner, easy, flanken, garlic, ginger, grill, grilled, Korean, marinade, marinate, quick, recipe, ribs, short ribs, tamari.